A Little Advice...For Other Kids Traveling and Moving Abroad - a little adrift jr. I am writing this post this week because I have received a few emails from other kids who will be traveling with their parents abroad, like I did. They wondered what it was like to move, and they told me they are afraid of the changes, so this is the advice I have given the kids and their parents. When I first learned that I was traveling to Thailand last year, I didn’t like the idea at all and I was really scared, mad, disappointed and uncomfortable. I wrote a post about what it felt like to leave my friends and family. It was hard to make that change. I have advice for other kids who are in the same situation and have questions about their move. First, when you arrive wherever you’re going, think positive and how great the rest of your journey will be because it will make the rest of the trip so much better and enjoyable. That’s the first part and makes all the rest of the tips work better. Posing at Angkor Wat with some Khmer people, they only wear that kind of stuff on special occasions though. Also, I suggest keeping a journal. I started keeping one and I put things in it like how fun my day was or what I want to do tomorrow, and I glued in tickets from transportation and things that I saw happening around me. I drew pictures in it too, so I could remember all the little moments while I traveled. Keeping a journal also helps when your feeling sad and miss home. When you’re missing home, I think you should try to think about a time that you had a lot of fun, or a time that you were hanging out with family and friends, then write about it and tell your journal. That’s what I did when we were traveling. One of the things that are at the very top of the “Things I Suggest You Bring” list is a digital camera. You’re going to want to remember your trip and be able to capture all the beautiful moments you had all throughout your journey. I had one and so did my 8 year-old friend and we both took so many pictures. It’s not so fun sorting out the pictures and having to transfer them into your computer when your memory card gets full, but it’s all worth it in the end. And take pictures of everything, even the things you think are small because there are many things that I regret not taking pictures of when I had the chance. 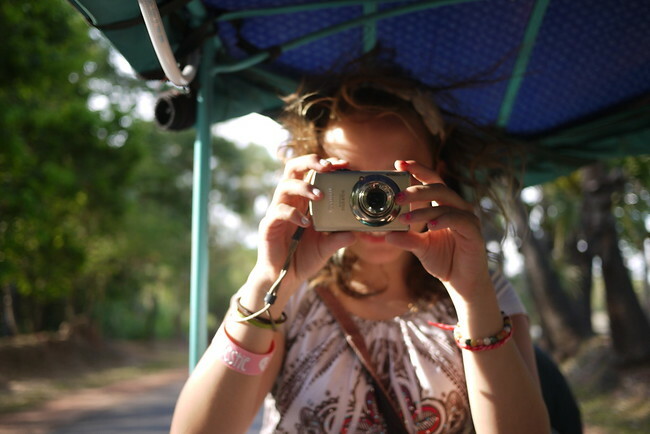 The first couple days you’re in your first place, go on a songthaew or tuk-tuk ride, and then try to get a motor bike because that’s my favorite transportation of all here in Southeast Asia! It’s fun to take those first couple of days to do the neat types of transportation and things you can’t do back home, so try them all out and see which ones are your favorite. While on rides to other places with locals, don’t be shy to try to communicate with them, they absolutely love it, especially in Asia. If you’re on a motor bike, do the craziest thing you can think of as long as you’re still being safe, because locals love that too. 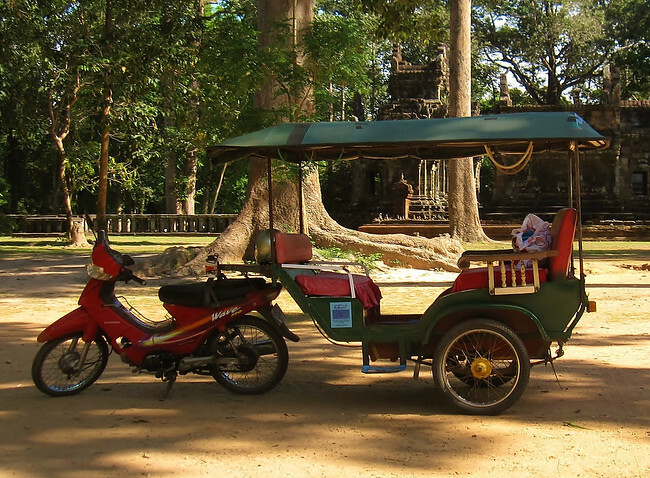 The most local transportation all throughout SEA, the good ol' tuk-tuk. If you like doing things with art then don’t worry, they have great art stores overseas too! We found things for painting, books, coloring books, markers, paper, and all sorts of things with the school supplies for local children. And if you go to school in a place like Thailand, there are dance classes, art, and that sort of thing so it’s nice to know for sure that you can still do outside-school stuff. I was surprised that really, we could get most anything in Thailand. They have a lot of Western stores, my aunt says they sometimes cost a bit more, but sometimes (like the art stuff) it’s way cheaper! Also, if you have a favorite object or toy, that would be great to bring as long as it’s not too big. Something like a necklace, stuffed animal, pictures are nice to have with you. 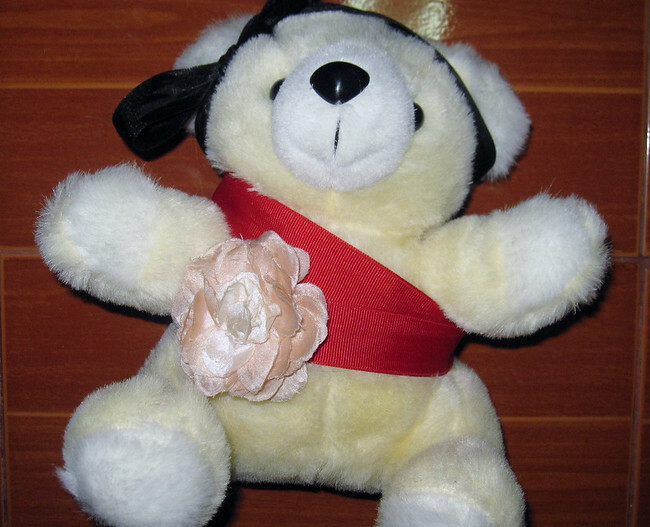 A teddy bear I won at a fair in Thailand that I decided to keep as my toy, its name was Kanate. Smoothies, sticky rice, fruit, curries and all sorts of different varieties of Thai food. Yum! (Minus yum on the curries, those WERE NOT my favorite choice of food in Asia, I just skipped that section of the menu.) I loved that I could order my own food, and my aunt really encouraged this so that I would get used to it. She made me talk to the vendors and the people in the city, and because I took Thai lessons, my aunt encouraged me to order in this new language. This helps you feel closer to the local culture and I was able to practice my language skills, which I really liked. If you’re worried that you’ll never eat Western food again, then don’t worry, there is western food everywhere. Just be warned, it will not taste as good but don’t worry, you will have plenty new things to try that are far more interesting than they stuff you’ve eaten for most of your life anyways. 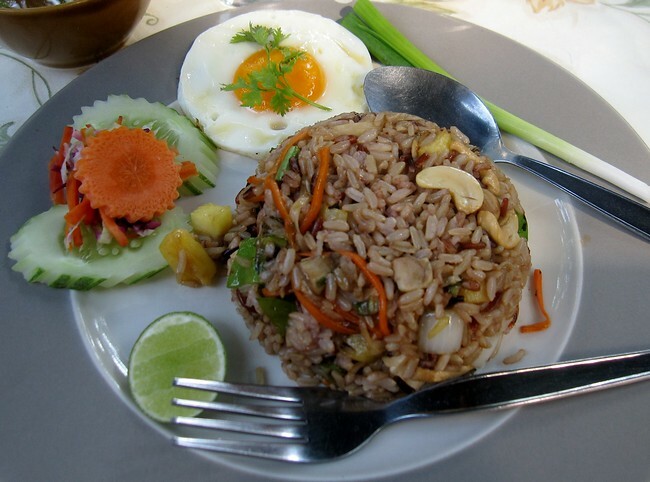 Some amazing fried rice with vegetables and cashew nuts that I learned how to order in Thai. The “not spicy” one is important because I thought I hated Thai food when I first arrived because it always came out way to spicy! But now there are a lot of not spicy foods I really like that I can’t get at home in the US so it’s good that I know how to order my food how I like it. A cool jumping shot from the Black Temple in Chiang Rai, Thailand! Very good post, not only for young travelers, but also for parents! Such great practical tips!! I’m impressed to hear to learned to like Thai food so much. I think a lot of people are afraid to try new foods, but there are so many delicious foods if you’re willing to try. I will take your advice next time I travel to buy art supplies. I always miss doing art when I’m traveling, but it’s such a fun thing! Art is always fun though and a great way to express yourself, especially if you have many exciting things happening. Hi Ana. My dad showed me this site a while ago because my family has traveled since I was 5. I just wanted to say that I love what you are doing here for kids who aren’t used to moving around a lot. Wow! You’ve been traveling since you were that young? That’s so awesome! You must have been to so many places and experienced lots of cool things. I try to help as much as I can because I remember what it was like when I first traveled and I want other people that were in the same situation as me to feel as comfortable as possible. Thanks! I am a seventh grader, I recently visited some of my friends in Shang-Hai, China. I loved the experience and really enjoy reading your blog, because I can kind of relate to how some cultures are extremely different but have so many things in common, I learned this due to my trip. I think that what your doing with your life right now is incredible! Please keep your epic blogging and enjoy your travels!!! China sounds so cool! So did your friends more to Shang-Hai or are they Chinese? It’s amazing how many cool things you can learn just from going to another country. Thanks so much! Our friends moved their two years ago. I definitely agree on how much you can learn from a quick visit like mine, I can’t even imagine all the new and interesting things you must learn if you travel so many different places for that long! Ana, I am an 8th grader in Montana, and I am sooooo jealous of your travels. I would give ANYTHING to travel like you do. If you ask my friends they will tell you I am crazy cuz I have the life here! I am a cheerleader, I have an AWESOME boyfriend, but do you ever feel like something is missing? I thought I wanted to be popular, and now that I am, I wish for more. I have been reading your blog and I wish I was you. Please post soon – I miss reading your many travels. Maybe someday I will be able to travel too and we can meet up somewhere – how cool would that be????!!!!! I go to public school now and that’s what I thought I wanted for a period of time, but now that I have it I also want to continue to travel. There’s just a couple things that I don’t have that you do, you’re a cheerleader which sounds fun and you have a boyfriend and I don’t, but that’s perfectly fine with me. Your comment makes me feel like a famous person! :) I will try really hard to post a new article sometime this week. I would really like to go to London because it looks beautiful and One Direction is from England, so how would you feel about meeting up with me there? Thanks for reading and commenting!